Five Bossier Parish youth baseball teams — four Dixie and one Little League — begin play in World Series and regional tournaments this weekend. 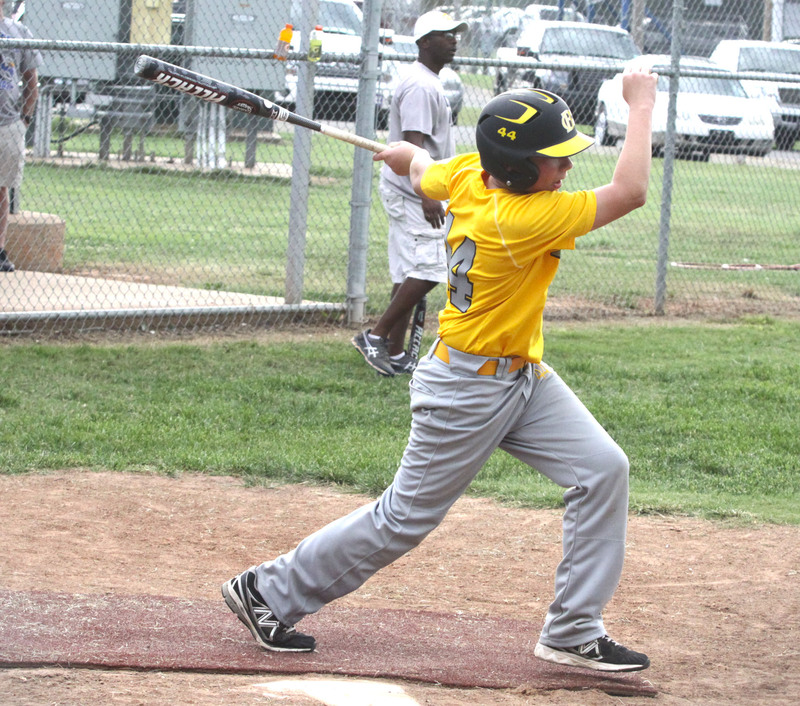 The Bossier Nationals begin pool play in the Little League (11-12-year-olds) Southwestern Regional tournament in Waco, Texas today at 1 p.m. against Texas East. The Nationals and Texas East are in Pool “A” with Mississippi and Texas West. Pool “B” teams are Oklahoma, Colorado, Arkansas and New Mexico. Bossier faces Texas West at 5 p.m. Saturday and Mississippi at 8:30 Sunday. The top two teams in each division advance to Tuesday’s semifinals, which will be broadcast on ESPN2. The Nationals are believed to be the first team from Bossier Parish in 40 years to win the Little League 11-12 state title and play in a regional. Bossier Nationals All-Star Hayden Travinski bats during practice Tuesday evening at the Clifford Almond Park Little League Complex. Bossier opens play in the 11-12 Southwestern Regional today at 1 p.m. against Texas East in Waco, Texas. The regional champion advances to the Little League World Series later this month in Williamsport, Pa.
Nationals team members are Amani Larry, Eric Brown, JT Brice, Bryson Connell, Derious Bradford, Peyton Lewis, Dalton Burrell, Daniel Halbert, Dustin Barron, Hayden Gatti, Christion Rayner and Hayden Travinski. The Bossier All-Stars open play against host Seneca, S.C., in the first round of the Dixie Boys (14s) World Series on Saturday at 7 p.m. The double-elimination tournament features 12 teams from 11 Southern states and Texas. Bossier 14s team members are Peyton Jordan, Connor Jack Smith, Jonathan Plant, Josh James, Mason Cordell, Coleman Nerren, Anthony Mulrenin, Jake Mayfield, Hal Gatti, Zach Hires, Ethan Parks and Hagan Brandon. The Bossier 13s All-Stars open against North Carolina at 1 p.m. Saturday in the Dixie Junior Boys World Series in Columbus, Ga.
Bossier 13s team members are Jonathan Brandon, Steven Lutterman, Eric Williams, Chase Hodges, Lannon Broadway, Carter Parks, David Maxey, Jay Couch, Hunter Hollis, Buzz Vorachek and Christopher Hayes. Two other parish teams — the Haughton All-Stars and the Benton All-Stars — are playing in Dixie World Series tournaments in Laurel, Miss. Haughton plays South Carolina in a first-round game of the O-Zone (11-12) World Series on Saturday at 5:30 p.m.
Benton faces Tennessee at 7:30 p.m. Saturday in a first-round game of the AAA (10s) World Series. Haughton O-Zone team members are Brock Breed, Kyelor Coburn, Jerry Lee Brandon, Caden Holloway, Justin Lecher, Jonathan Sewell, Eric Rost, Kobe Jackson, Lake Lowery, Jathon Patton, Mason Simmons and Kason Green. Benton AAA team members are Cade Waites, Adam Smith, Brock VanHoy, Owen Wainscott, Grayson Gates, Ryley Sharp, Hunter Holmes, Cameron Braun, Jesse Coile, Hunter Newton, Damon Burrell, Rylan Lawrence and Cody Jones.